Tallo and Precision Exams are connecting talent with colleges and companies. Students can build a Tallo digital profile, and request a Precisions Exam Digital Badge, and get discovered! Tallo is an online platform with one goal: connect talent with opportunities. Students and professionals use Tallo to build digital profiles and figure out the next step that’s right for them. Colleges, companies, and organizations use Tallo to find the talent they need. Think: jobs, apprenticeships, scholarships, and just about any other kind of professional or educational experience you can imagine. 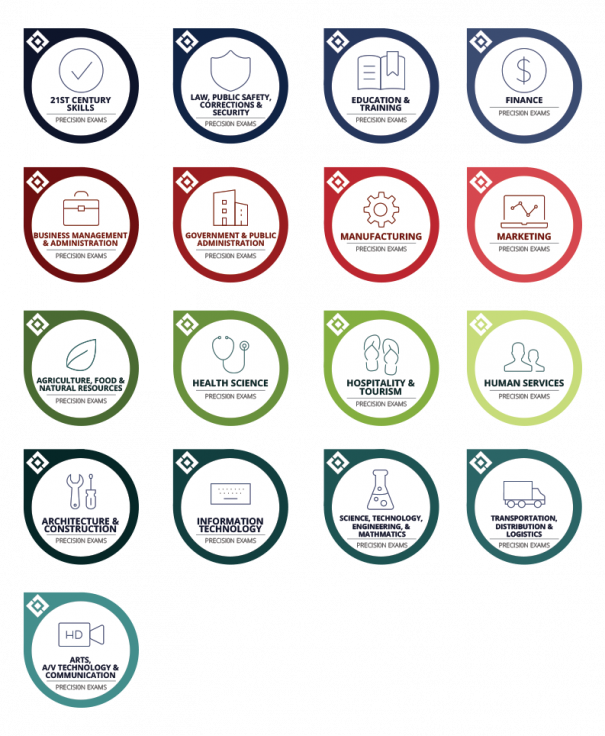 With Precision Exams’ industry-aligned standardized assessments and certifications, students can earn badges that validate their knowledge and skills. 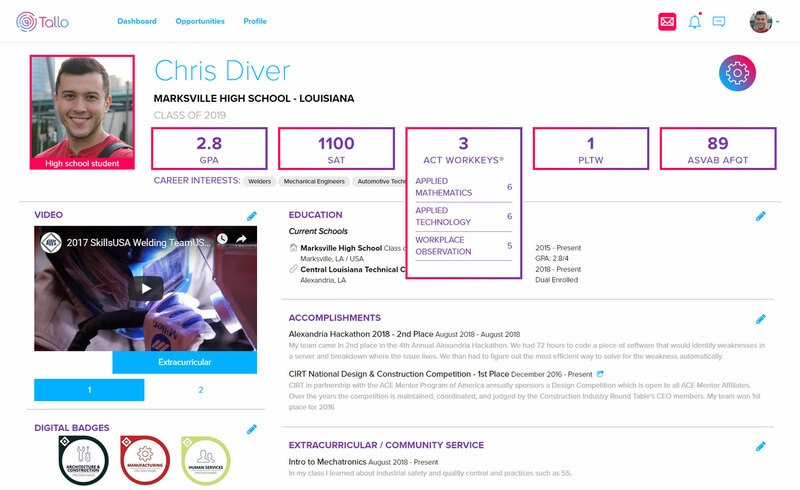 Using Tallo’s online platform, students can be recognized for those badges by potential employers and colleges. Tallo and Precision exams want to help bring greater opportunities to students. Tallo users (all 400,000 of them) have different lifestyles, passions, and personalities, and we know they’re all destined for greatness — together we want to to help them get there. Now, once a student achieves a certification they can request specialized digital badge on Tallo which officially recognizes their accomplishment! To begin earning your badges you must first join and request your badge. Below are the steps you will need to take in order to get your credentials on your account.